1. Choose a compression ring Select a compression ring to fit your spotting scope eyepiece. The Novagrade system will work with eyepieces with a diameter of 40-60mm. 2. Attach compression ring to the adapter Use the screw thread to attach your chosen compression ring to the ultra compact smartphone adapter. Now go grab your smartphone. 3. 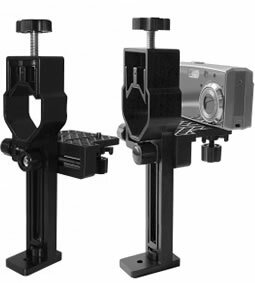 Adjust adapter grasping arms and align your smartphone Adjust the universal adapter to fit the size of your phone then align your smartphone's camera lens centrally over the eyepiece of your spotting scope. Truly universal, Truly simple... New Novagrade DSLR Digiscoping Adapter. Ultra compact DSLR digiscoping for Canon. A unique digiscoping system... The Novagrade DSLR digiscoping adapter offers a universal and ultra compact solution to attach a Canon or Nikon DSLR body to most spotting scopes. The Novagrade DSLR digiscoping adapter comprises of a unique compression ring that will fit a spotting scope with an eyepiece diameter from 40-60mm insize. 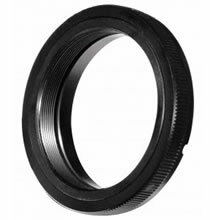 Simply screw this ring to the Canon or Nikon fit T2 mount and attach to your DSLR body. It couldn't be easier. The Novagrade DSLR digiscoping adapter offers a universal and ultra compact solution to attach a Canon or Nikon DSLR body to most spotting scopes. Truly universal, Truly simple... New Novagrade DSLR Digiscoping Adapter. Ultra compact DSLR digiscoping for Nikon. A unique digiscoping system... The Novagrade DSLR digiscoping adapter offers a universal and ultra compact solution to attach a Canon or Nikon DSLR body to most spotting scopes. The Novagrade DSLR digiscoping adapter comprises of a unique compression ring that will fit a spotting scope with an eyepiece diameter from 40-60mm insize. Simply screw this ring to the Canon or Nikon fit T2 mount and attach to your DSLR body. It couldn't be easier. A brilliantly simple piece of engineering that allows you to mount most digital compact cameras over the eyepiece of a telescope, spotting scope, microscope or binocular and take pictures through them. The adapter fits most eyepieces smaller than 40mm diameter. The platform that holds the camera can be moved north/south and east/west to enable the lens to be centered over the eyepiece. A brilliantly simple piece of engineering that allows you to mount most digital compact cameras over the eyepiece of a telescope, spotting scope, microscope or binocular and take pictures through them. The adapter fits most eyepieces larger than 40mm diameter. The platform that holds the camera can be moved north/south and east/west to enable the lens to be centered over the eyepiece. This camera adapter is still designed for small compact cameras however it gives greater funtionality over the standard adapter in that the camera can be easily moved to one side allowing normal use of the scope. 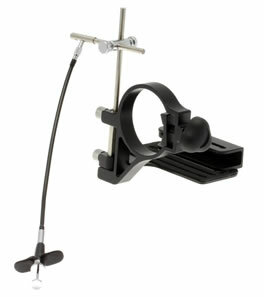 This adapter allows for a large DSLR style or bridge camera to be used with a scope. The adapter is designed to fit various size scopes and cameras but lends its self best to 'larger' models. Unlike other models, the scope is itself attched to the adapter (as is the camera) and the adapter is then attached to the tripod. The adapter can then be adjusted to give even balance on the tripod. This thread attachment lets the camera attach to the filter thread on the camera lens and the other side fits the appropriate camera adapter. The first size given is the size of the lens filter thread i/e a 55mm to 52mm step ring will allow a 55mm thread size to be fitted to a standard 52mm camera adapter thread. Some small camcorders use 25mm filter thread. This is too small to step directly to 52mm and as such you require two rings, the 25-37 and 37-52mm.